Ooty Botanical Garden, an English styled terraced garden was established in 1847 by Marquis of Tweed Dale, the Governor of Madras then. The garden covers an area of about 22 hectares and is well known for its most colorful floral variety. More than 1000 varieties of plants, trees and shrubs are cultivated here. Originally this garden was led down for the academic purpose of studying horticulture. Extremely rare species of explicit trees like cork tree, paper bark tree, monkey puzzle tree, other plants, orchids and ferns render this garden a must visit place of Ooty. A fossil of a tree which is said to be more than 20 million years old interests the tourists a lot. This picturesque and lush green Botanical Garden is also renowned for its Italian Style garden bordering. The garden covers the slops of the beautiful Nilgiri Hills at the altitude of about 2500 meters. It is divided into six sections being; Lower Garden, New Garden, Italian Garden, Conservatory, Fountain Terrace and Nurseries. 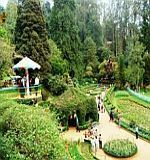 Maintained by Tamilnadu Horticulture Department, Ooty Botanical Garden is celebrated for its annual summer festivals which include agro horticultural show, spring flower show, dog show and other cultural programs. The summer festival is organized during the months of April and May. Situated in Vijayanagaram, on the descending slopes of the Hill ‘Elk’, near Charring Cross, in the heart of Ooty, this rose garden tends to charm and allure all the senses. The garden is spread over the area of approximately 10 acres and harbors more than 17,000 varieties of rose flower. 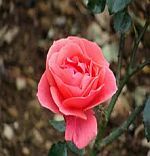 Hybrid Tea Roses, Button Roses, Ramblers, Floribunda, Black and Green Roses are some of the rare species of rose found in the Ooty Rose Gardens. 'Nila Maadam’ is a special tower built in the garden from where the entire rose garden can be captured in a glance. The Horticulture Department of the government of Tamilnadu is in charge of maintaining Ooty Rose Gardens. The World Federation of Rose Societies (WFRS) acclaimed Ooty Rose Garden as the best rose garden in entire South Asia with the award of “Garden of Excellence in the year 2006. If you have a creative taste and you are a lover of art, the thread garden is a place you should never miss. Grandeur of art, superiority of craftsmanship, aesthetic creativity and innovative human nature can be witnessed in the thread garden situated in Ooty. This is an artificial garden where the plants and flowers are not natural but all of them are woven by thread. And adding to that surprise, the weaving is done by hands without using needles. They have developed a new technology of Hand wound embroidery and used it in this innovative experiment. The Thread garden of Ooty is the outcome of hard work of 12 years by 50 women artists. More than 6 million meters of threads were used in this beautiful creation. When we witness the wonderful product of mastermind and master craftsman, we feel the urge to honor the thread garden as the eighth wonder of the world. Good news is that the visitors can even buy the artistic plants and flowers and take them home. Only thing is that, good care needs to be taken and the threads should not be exposed to sunlight. The trip to Ooty can never complete without visiting this man made miracle. 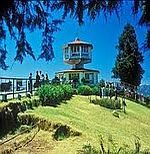 One of the must visit tourist destinations near Ooty is Doddabetta Peak. Doddabetta means 'BIG MOUNTAIN’. Doddabetta Peak being the highest peak of the Nilgiri Mountain Ranges offers an excellent panoramic view of the headlands of Mysore and meadows of Coimbatore. Situated at the juncture of eastern and western ghats, at the altitude of 2623 meters, Doddabetta Peak is just 10 km away from Ooty. Nominal entry fee is taken by the forest department from the vehicles to reach the Doddabetta Peak. Atop, a TTDC (Tamil Nadu Tourism Development Corporation) restaurant is situated where tourists can dine and sleep. TTDC has also established a telescope house at the Doddabetta Peak which offers a transcendental view of Nilgiri hills and the spectacular array of the enclosing landscape. Watching the sunset from this peak is a banquet for the eyes. Doddabetta Peak is also the favorite terminus for the trekkers and hikers. John Sullivan, the official founder of ‘Ooty’ built this artificial lake in 1824 which is widely known by the name of ‘Ooty Lake’ at present. The original lake was larger in size and blanketed most of the market area, the bus stand and the race course today. Current size of the lake is 4 km2. 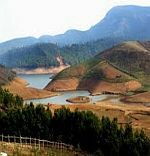 Earlier the Ooty Lake was mainly used for fishing until 1973 when it was handed over to TTDC to develop it as a tourist destination. Eucalyptus groves around add to the artistry of the lake and create a scenic view. A mini garden located nearby, the mini train and an amusement park specially built for the kids multiply the attraction. 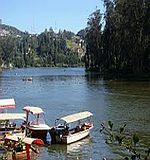 The major event at the lake is boating and swarms of tourists arrive here to enjoy drifting in the serene waters of the lake. For the lovers of nature and beauty, Emerald Lake is an additional bonus. Just 25 km of traveling from Ooty and you witness a premium marvel of cosmos. Situated at the highland plateau of Nilgiri Hills, Emerald Lake is one of the must visit picnic spots near Ooty. The picturesque valley around, the chirping of the birds and astonishing arena created by the amalgamation of colors at sun rise and sun set make this place a wonderful get away. The famous nature resort at the Emerald Lake – ‘The Red Hill Nature Resort’ provides a luxurious bed and breakfast to the visitors. This resort is housed in a building 125 years old and the surrounding tea gardens and the glittering water of the lake add to the beauty of it. The adventure sports like trekking and mountain biking and other fun activities like fishing and bird watching can be enjoyed here. Merely 28 km of traveling from Ooty will lead you to the paradise on the earth – Avalanche. Situated very close to the Emerald Lake, Avalanche is a very scenic place and the experience of this place promises to be full of delight and wonder. When you climb the peak of Avalanche hill, the view of the magnificent valley down is breath taking and rectifying. At certain places in the Avalanche valley, the woods are so dense that even the sunlight can’t pass through it. Avalanche forest is the dwelling place for a wide variety of birds. For those who have interest in bird watching, Avalanche will provide this delight in abundance. Spread over a vast area of 321 sq. km, Madumalai Wildlife Sanctuary is a pride of Nilgiri district. Situated at the altitude of 1140 meters, this sanctuary lies at the juncture of three states Tamilnadu, Karnataka and Kerala, where the Eastern and Western ghats combine. From Ooty via Kalhatti it is 36 km away and via Gudulur it is 67 km away. The sanctuary is 91 km from Mysore. Declared by the Tamilnadu Government to be an official ‘Tiger Reserve’, Madumalai Wildlife Sanctuary, one of the oldest wildlife sanctuaries of India, provides a place for adventure based sight seeing. The noteworthy feature of this sanctuary is its wide range of variety habitation. 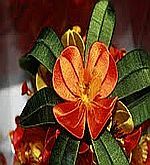 Tropical forest which is evergreen, teak forest which remains moist always, grass lands and wet lands covered with vegetation (swamps) are the major habitation varieties found in this area. This sanctuary houses wild animals like tiger, panther, leopard, wild dog, wild boar, elephants, porcupine, sloth bear, jackal, hyena, bonnet macaque, langur, sambar, mouse deer, barking deer, spotted deer, rodent and flying squirrel etc. At present there are 48 tigers in this tiger reserve. These tigers along with all other animals stroll freely in the sanctuary. 227 varieties of bird species reside in this sanctuary. They include fairy blue birds, hornbills, jungle fowls, minivets and many others. Python, flying lizard, monitor lizard, snakes, and so on are reptile species found here. 110 species of insects, 62 of carnivores, and 12 of omnivores dwell in this sanctuary. Apart from the wildlife noted above, other attractions of Madumalai Wildlife Sanctuary are Mayor Waterfalls, Theppakad Elephant Camp and Ombetta Swamp. TTDC has established a rest house and a youth hostel in the sanctuary. The visiting timings of the sanctuary are between 7:00 am and 9:00 am and 4:00 pm and 6:00 pm. As the Ganges is to all Indians, Pykara is to the Todas. The sacred Pykara River is the largest river of the Nilgiri district. 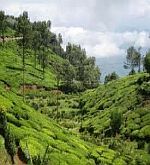 The river starts from Mukurthi peak in Nilgiri mountain ranges, passes through the hills in north and then turns to the west after reaching the edge of Plateau. From the edge the river Pykara majestically gets down creating the beautiful waterfalls known as Pykara Waterfalls. The falls that the river takes are of 55 meters at one place and 61 meters at another. Pykara falls and Pykara dam are just 20 km away from the town Ooty on Ooty – Mysore road. Pykara Lake, another beautiful place at the same location is surrounded by exuberant green valley and makes a famous picnic spot. Tourists enjoy boating in the Pykara Lake. The boat house run by TTDC near the Pykara Lake is the major attraction of this place. The meadows, Toda huts and the wildlife sighted here add to the profundity of this place. The forest rest house established at Pykara provides luxurious bed and meals here. Glen Morgen, the oldest tea estate of Ooty was very popular for the tea estates and eucalyptus estates situated there. Just 25 km away from Ooty, Glen Morgen is one of the very famous tourist destinations around Ooty. Panoramic views of valley around, the glittering waters of the lake lying at the foothills and the thrill of visiting Glen Morgan and Singara make up an unforgettable experience of your life. A rest house originally built for the officials is now available for the tourists too. On the Ooty – Mysore road, 13 km away from Ooty you will come across another tourist attraction – Kalhatty Water Falls. This place is quite popular for the picturesque natural beauty of the waterfalls, the woods around and the adventure of trekking and hiking it offers. Water comes down at the drop of 36 meters here and the waterfall is located at the altitude of 2000 meters. The rout that you will have to take is via Kalhatty Ghats which provide extremely spectacular and elegant natural beauty on both the sides. The Kalhatty waterfalls are seasonal and come to life only during the months between September and November. To reach the waterfalls one can take a bus from Ooty, but the bus will reach you only up to Kalhatty Village and the next two miles will have to be covered on foot. Situated merely a kilometer away from the Ooty railway station, The Ootacamund Club is regarded as one of the foremost clubs in Tamilnadu. The Ootacamund Club is quite close to the St. Stephen’s Church. The building that presently houses this club was originally constructed for a hotel in 1831- 32 by Sir W. William Rumbold. According to the legend that goes, the game of snooker was invented at The Ootacamund Club. 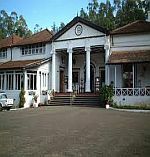 Situated on the outskirts of Ooty on the Western Ghats’ ridge, the Raj Bhavan carries the historical heritage of Ooty. The Governor of Madras used to visit Raj Bhavan during summer and enjoy the pleasant chill of Ooty. The Duke of Buckingham when he served as the Governor of Madras built Raj Bhavan in 1877. Raj Bhavan is a big mansion adorned in cream color and built overlooking the popular Botanical Gardens of Ooty. In 1900, Sir Arthur Havelock built an exquisite Ballroom in the mansion and in 1904; electric connection was provided to the building. The walls of the building is decorated with the portraits of the British Governors, their ladies, the great Queen Victoria, George the fifth, the Duke of Buckingham and many other eminent personalities. The garden around the Raj Bhavan is well maintained and it adds to the grandeur and beauty of the Villa. At present, this government building is occasionally used when the Governor of Tamilnadu pays a visit to Ooty during summer, mostly between April and June. The Raj Bhavan is a perpetual memorandum of the majestic amplitude and eminent glory of the olden days of Ooty during the British Raj. Adam’s fountain situated at ‘Charing Cross’ in Ooty is the symbol of the glory and fame of the same Governor of Madras. Built by John Sullivan, the Stone House is honored to be the first house of Ooty that was properly planned and constructed. The Stone house is situated in old Ooty in the premises of Ooty Government Arts College. Currently this house is used to shelter various government offices. One of the oldest churches of Ooty and a significant landmark is St. Stephen’s Church. Apart from being actively used for worship and its religious credit, this church is renowned for its architecture. The church was built in wood, similar to that which was used to construct the palace of Tipu Sultan. Stained glass used in the engineering renders the structural style to be prominently gothic. The architecture of St. Stephen’s Church differs from other churches built during the colonial era. Hindustan Photo Films, also known as HPF is a major industrial unit and a chief public enterprise of Ooty district. Located 5 km from the railway station of Ooty, HPF is spread over an immense area of more than 300 acres. Visitors can witness the entire process of camera film production in this plant. Inaugurated in 1967 by Mrs. Indira Gandhi, the then Prime Minister of India, HPF presently works on the production of Indu roll films. Apart from Indu roll films, other productions include Indu X – ray films, Indu Bromide paper, Indu aero graphic, Industrial X – ray films, CAT films, Laser recording films, Space photography films, direct print paper, and innumerable film processing chemicals and so on. Indu X – ray films of HPF are regarded to be among the best X – ray films all round the world. HPF uses latest technology in making the films used for different photography purposes and maintains international standards. Wax world is a private wax museum set up in a 142 years old house. 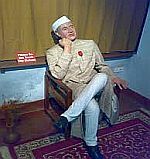 This museum houses wax statues of different personalities from Indian culture, heritage and history. As the museum suffers from lack of funds, the tourists are requested to pay a visit. The entry fees being the only source of income, one must help in the preservation of history by paying a visit and contributing a little.